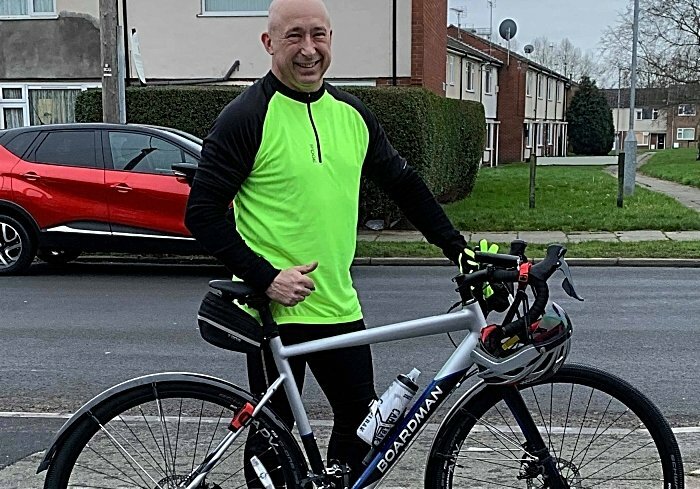 Local fundraiser Roy Price has taken on a challenge of a lifetime, riding a bicycle from Land’s End to John O’Groats (LEJOG). Roy will be the first to tell you, he hasn’t ridden a bike for 31 years and will be taking on the gruelling 900-mile ride in May this year to raise money for The Joshua Tree. From the tip of Cornwall to the top of the Scottish mainland, Roy hopes to complete the challenge in only nine days, requiring him to cycle an average 100 miles each day! Self-funding the challenge himself, Roy will be supported by Rob Simpson, from Simpson & Edge Garage in Nantwich, as his support van and crew. Roy commented: “I’ve recently started my first rides as it’s been over 31 years since I rode a racing style bicycle! I aim to complete LEJOG in nine days, a trail where most people take 14 days to cover the distance, so it will be even more challenging. I’m hoping people will support me by means of sponsorship – their donations will really make a difference to the support that The Joshua Tree can offer to the young cancer patients and their families.